At last a slot car system designed by digital enthusiasts for digital enthusiasts. 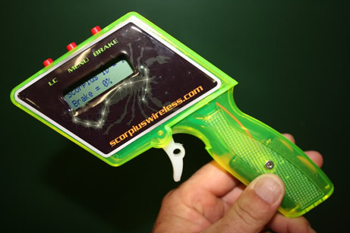 Scorpius Digital is for any level of slot car excitement, be it commercial, club or home use. 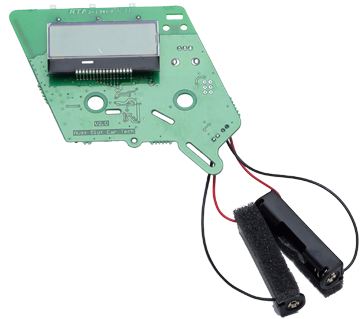 The Scorpius Wireless Digital system comprises of 4 different electronic components designed specifically to fit to timber routed digital slot car tracks or retrofitted to existing Ninco, SSD (Hornby) and Carrera digital plastic track systems. The system is designed to run in conjunction with your PC, and Scorpius software programs help you race up to 24 cars simultaneously. 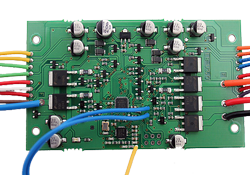 Scorpius also manufactures the WAM (Wireless Analogue Module) which allows you to run analogue cars on an analogue track using your Scorpius Wireless digital controller! Controller: 2.4GHz wireless controller featuring frictionless trigger, LCD screen virtual dashboard, adjustable spring tension, ten preset throttle maps, driver name included on LCD screen, learner mode, security PIN and long battery life. 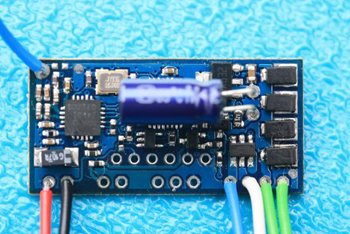 Car decoder: Robust 3 amp 2.4GHz wireless car decoder, compact 30x15mm size. 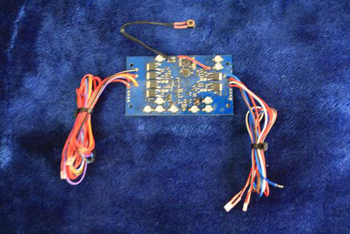 Lane Changer Electronics: 2.4GHz wireless Scorpius Lane brain can be wired to your lane change mechanisms be it for custom routed timber tracks or existing plastic lane changers (except SCX by Technitoys). Features Anti Collision function, PEARL (Programmable Electronically Activated Race Line) and Live Flipper function. 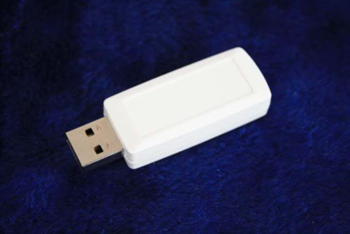 Dongle: 2.4GHz USB wireless dongle. 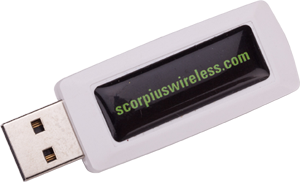 Allows your PC to communicate to all Scorpius components. Used to update or reconfigure Scorpius components and lap counting. 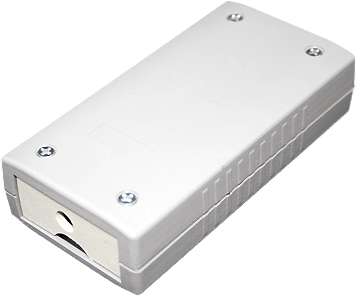 WAM (Wireless Analogue Module). For analogue systems. Allows use of Scorpius Wireless digital controller with analogue systems. Scorpius does not manufacture or supply actual track pieces or slot cars. 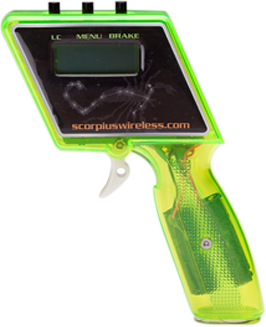 Scorpius, Slot car system with sting! The controllers are a huge upgrade to any others Wireless. Have you ever torn out your controller’s cables rushing to put your car back on the track? Do you want to move around the track while racing? 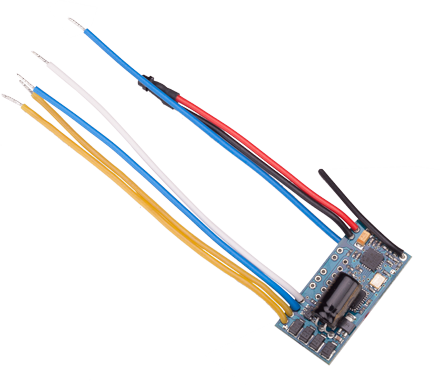 Do you want to be able to to set controller and car IDs without returning to the power base? Would you find adjustable brakes useful? Do you want to know your ID, brake settings at a glance? Do your cars have different amount of acceleration? Are some cars so easy to drive and others with the slightest twitch end up in the scenery? Would you like more choice with throttle mapping to suit all motors, tracks and voltages? Lane brain is an electronic device that runs your lane changers. It retrofits to existing plastic track digital systems (except SCX) and to any routed timber digital system. Is there a slow car in front of you? Change Lanes to get past them! Do you want to extend your lead or catch up with the leader? Take the best racing line around your circuit to cut those vital fractions of a second off your lap times! Would you like the system to remember your preferred race line? Do you want to set your own Pit Lane Speed Limit? Do you want to make sure that your car only goes into your Pit or Garage? Do you have to refuel? Pit Bay – how cool is that you have automated entry to your exact pit bay! Drive-Through, Stop and Go or Timed Penalties. Did you false start, drive off whilst refueling or drive too fast through pit lane? Want a break down of each sector? Want to work on your game? Now you can analyse individual sectors using sector timing! Would you like 3 amp capability? Would you like to be able to get the latest car decoder features by wirelessly upgrading? Would you like light board connection and control those lights via your controller? Want to use your PC or laptop to upgrade all your Scorpius components to the latest versions? Want to be able to reconfigure driver name, PIN and throttle curves easily and quickly via PC or laptop. 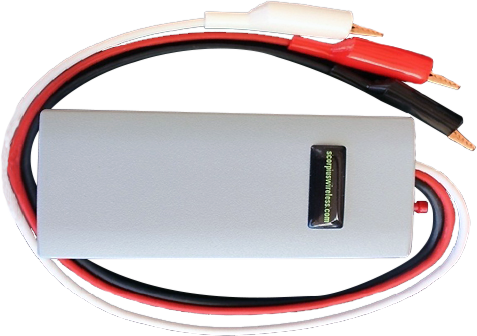 Want to troubleshoot your lane changer electronics and controller easily and quickly via PC or laptop? Want to be able to use the Scorpius Race Management System to hold races with your friends? Want to be be able to use ghost cars while racing alone or with friends. 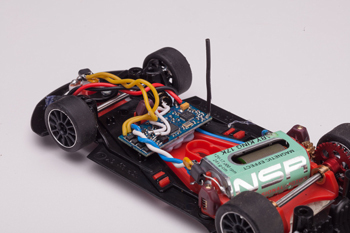 At last a slot car system designed by digital enthusiasts for digital enthusiasts. 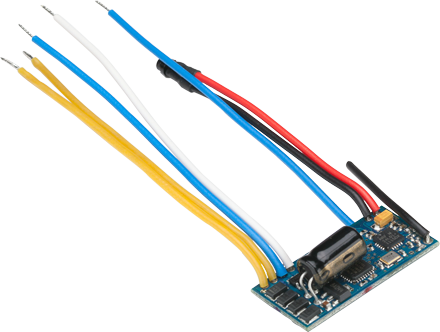 Scorpius Digital is for any level of slot car excitement, be it commercial, club or home use.